My husband and I had to pack a birth center bag. Fortunately, we are list makers and preppers. Literally at this moment my husband is telling me how he’s going to consolidate all of our travelling gear while I’m gone so that we just need to go through it tomorrow morning. Hooray organization! We were like this for the birth too, but almost everything we found for prepping for a birth was geared to a hospital birth. In hospital births, you need to plan to be there for a couple days. This means packing entertainment things, extra changes of clothes – so much stuff. Birth centers are much more simple. I went into active labor at 5, my daughter was born at 9:30 and we were home by 2. So much less time away from home. As you can imagine, a birth center bag will look much different than a hospital bag – you just don’t need as much. Depending on the birth center, there may be additional things you’re allowed to bring that a hospital would not allow. 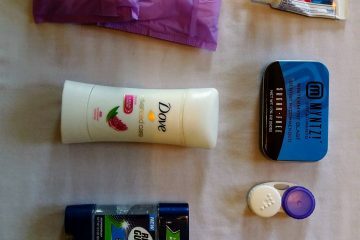 I wanted to share with you what we couldn’t find – a list of what to pack for the short trip. Feel free to download your copy of the checklist here.